- Cylindrical Grinding is the grinding of the outside diameter of components revolving between centres or while held in a chuck. Cylindrically ground parts are more accurate in size with better finish than those turned on lathes. 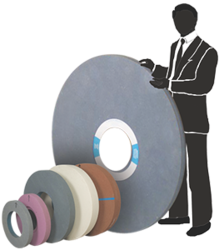 Since our inception, we are counted among the best name in the market offering excellent quality array of Norton Grinding Wheels. 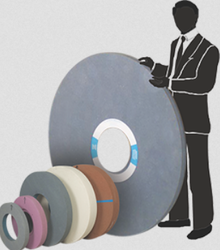 Abrasives As is evident from our name our main and foremost business is Abrasives. We are Authorised distributors of Grindwell Norton Ltd since our inception in 1992. Grindwell Norton has bestowed upon us many rewards like the "Regional Best Dealer Award", "Super Star Dealer Award" over the years. Norton Beer D C Wheel 5"